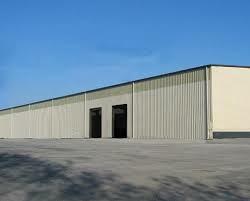 Construction of Large Steel Structure Difficulty in Roof Space Steel Structure System. Therefore, the spatial positioning accuracy of the structure determines the field installation accuracy of the whole roof system and the uniformity of the structure after installation, which is important to the safety of the whole structure system. Therefore, we set up the space three-dimensional coordinate system in the process of installing the curved roof beam, and use the total station to track the spatial positioning of the curved structure, and complete the final precise positioning by the two electronic theodolite to ensure the installation precision. The use of automatic collimation precision electric theodolite and automatic tracking of the total station as a sensor, the use of data communications equipment will be two instruments of observation data transmitted to the computer connected to them, and according to the corresponding software to deal with the observed data, real-time access to ribs The spatial position of the beam mark and the geometric shape of the rib.